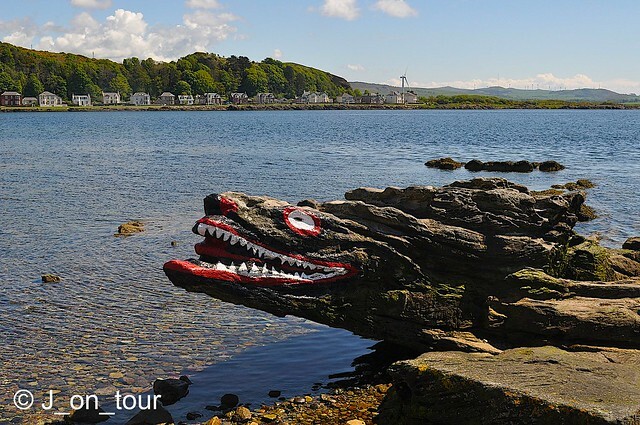 J_on_tour: Millport, Island of Great Cumbrae, North Ayrshire. 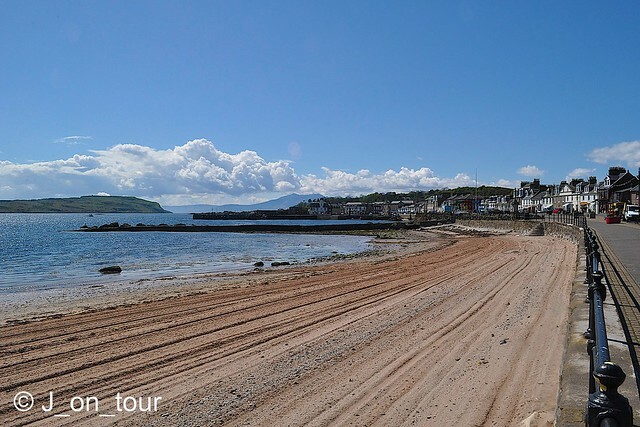 Millport, Island of Great Cumbrae, North Ayrshire. 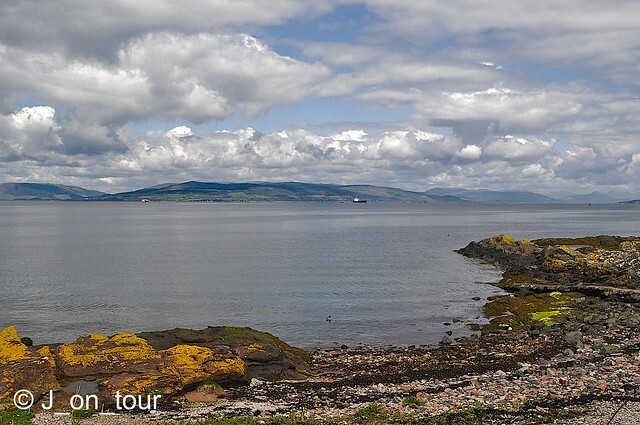 The Island of Great Cumbrae in the middle of The Firth of Clyde near Largs is about 4 - 5 miles long. 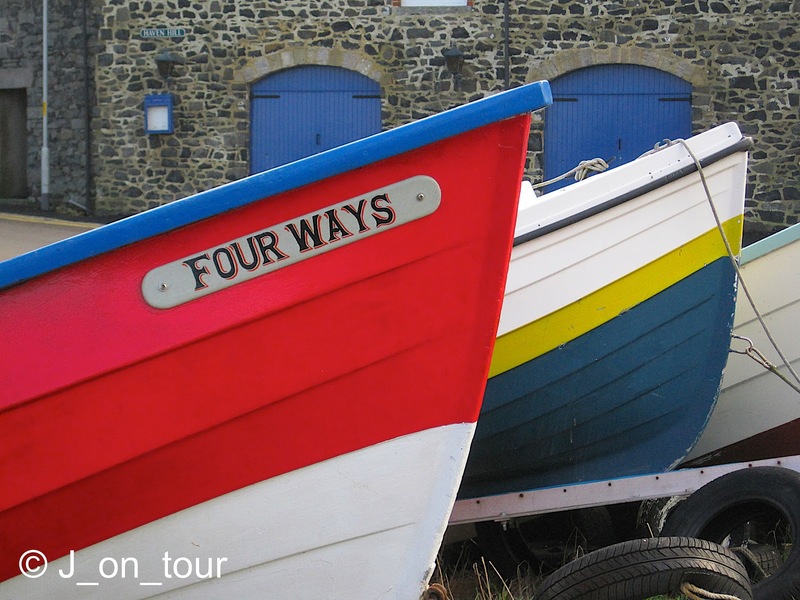 Historically and Geographically, it's prominence in this important navigable waterway made it a hub for Customs and Excise checking on Smuggling and contraband. 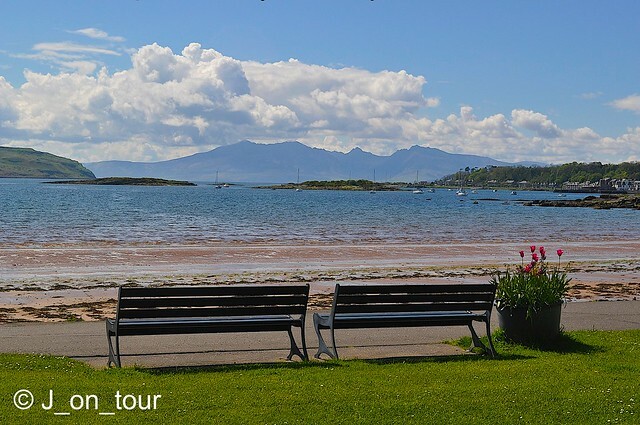 The only town on the island is Millport located in a large sweeping bay at the south end which has served Glasgow holiday makers in the past and day-trippers in more recent times. 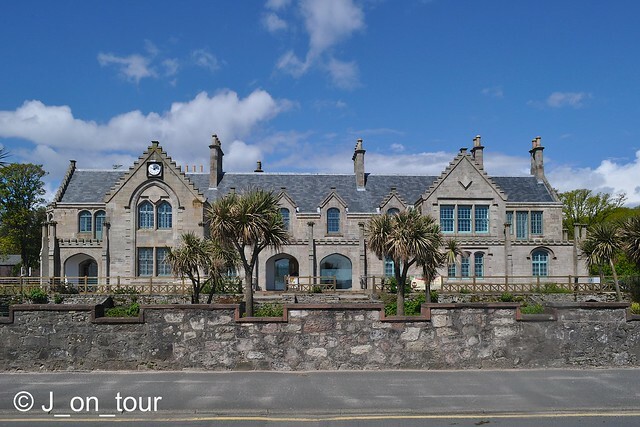 One of the oldest buildings in Millport is the 1745 Garrison House used as barracks for the army. The building has seen a busy life during the early 21st century as it was damaged by arson, achieved funding from the National Lottery and now houses essential services and community projects. 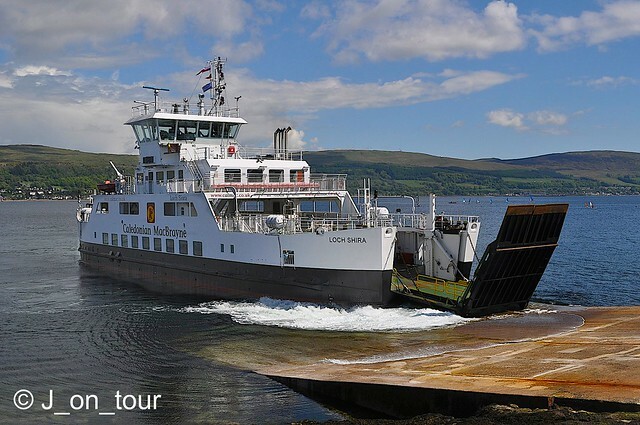 Picking up from where I left off in the last post of Largs and MV Loch Shira, I arrived by ferry on the north east side of Great Cumbrae. 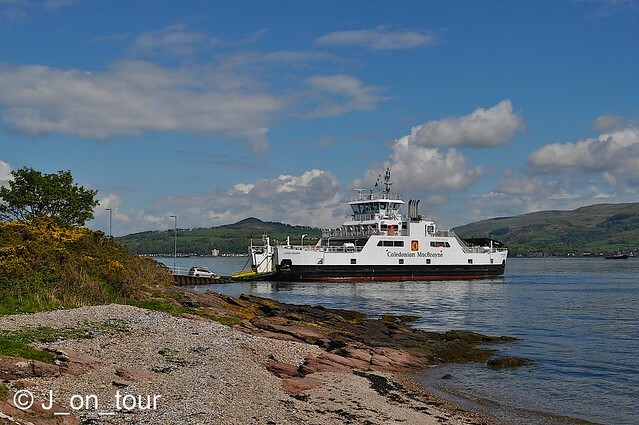 There was a frequent bus service that linked the ferry terminal with Millport in the south. As a result of this outing today, I realised that the town was more accessible that I first thought. The bus service was difficult to find at first on the internet and seemed complex with the winter / summer / off peak services. However my experiences today were if there's a boat, there's a bus. 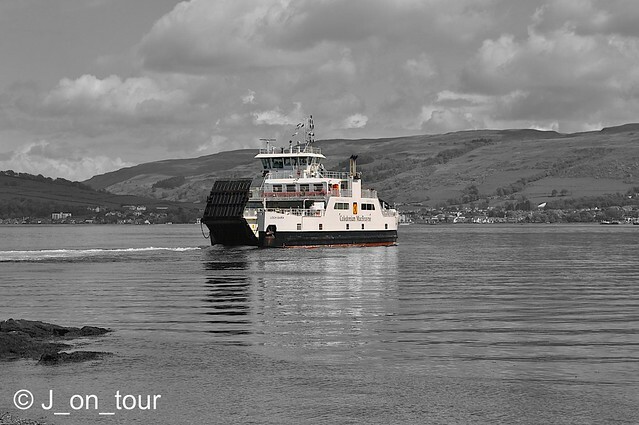 It was a bit weird at the end of the day travelling north, with traffic light controlled roadworks on the way, seeing the ferry crossing the Firth of Clyde nearing towards the island. I needn't have worried because they both arrive and depart at about the same time. 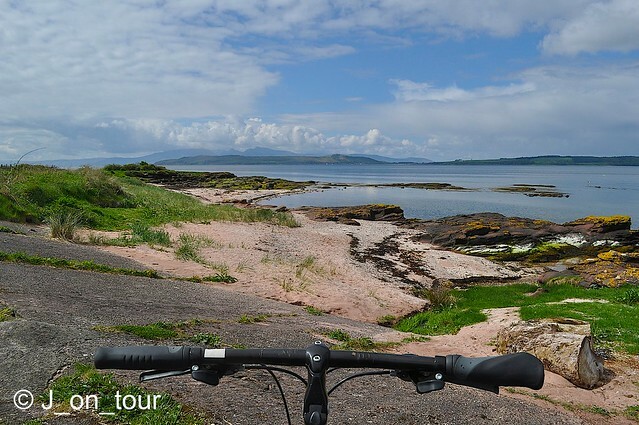 Cycling is the main activity of Millport where most people want to cycle around the island on the perimeter road. 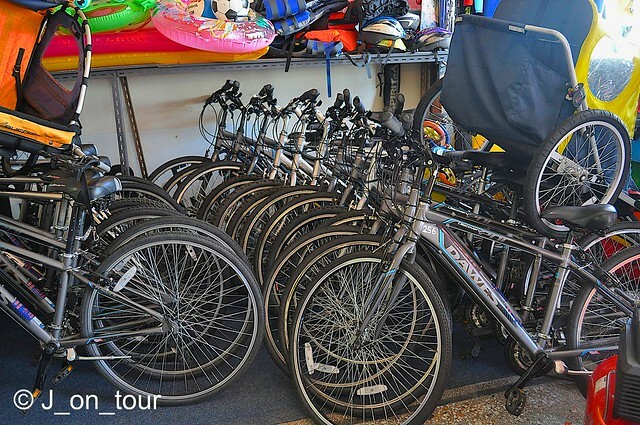 Bike hire is available at a reasonable cost from a few shops for the 10.25 mile circuit. Many novice cyclists would claim the rounded up distance of 11 miles depending on which guide, book or site they have read !! I chose the shop with a snappy title of "On your Bike". After a small exchange of money and a quick chat with the staff, I took a hurried photograph which they wanted to know what it was going to be used for. 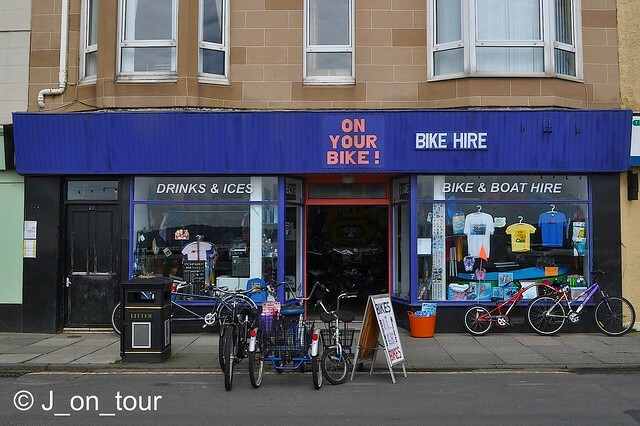 They were keen for me to advertise their shop and mentioned that not only do they do bike hire but also kayaks as well. I remember visiting lots of places in the UK as a child with my parents and somehow for either nostalgia purposes, photography or otherwise, I seem to return to them all. 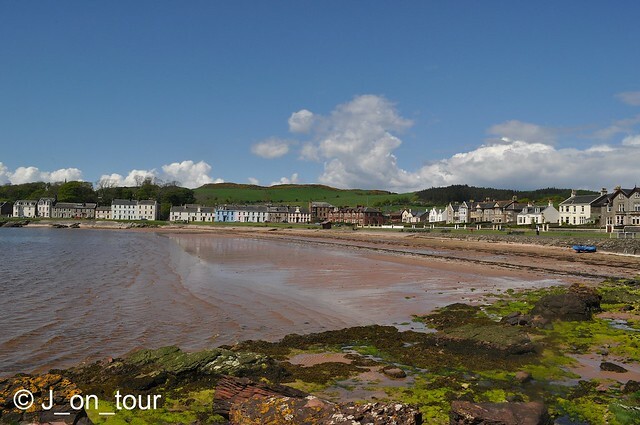 Millport and The Isle Of Cumbrae however had to wait until today from as long ago as 1975. As I was going to be sampling the outdoors, I had to choose the best weather day in the week. 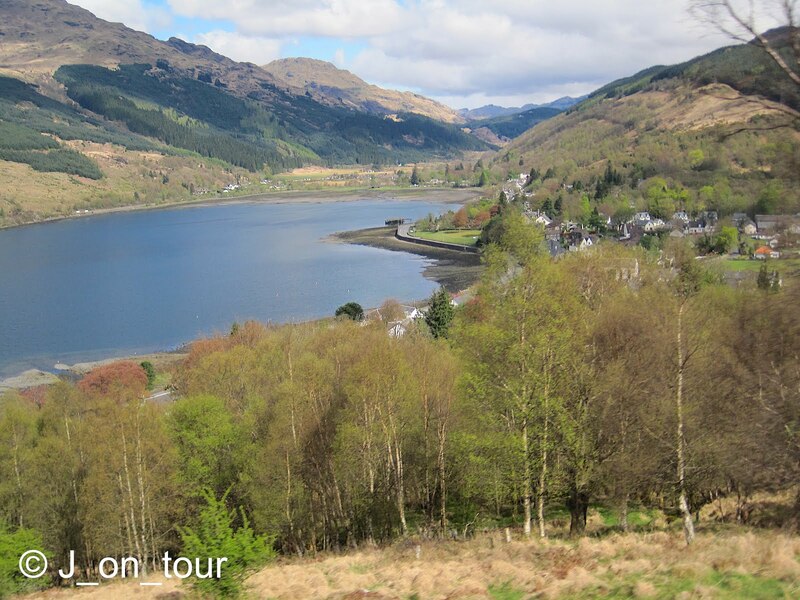 Back in 1975, the island or rather the cycle ride seemed a lot longer but this was pleasure and something I had been looking forward to since I planned the trip. 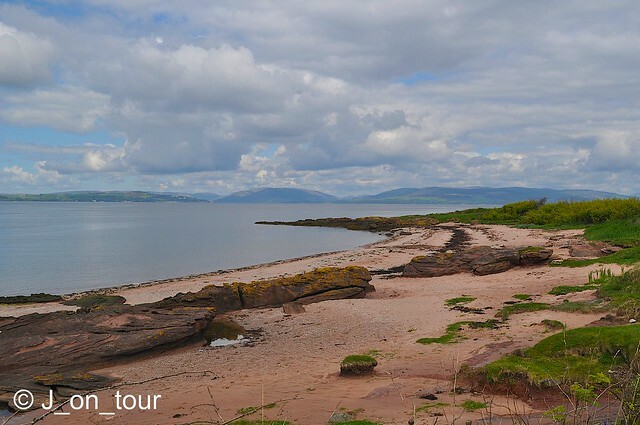 I wasn't in a "race" this time so it was nice to enjoy the beaches on the west side as I headed north from Millport. All too soon I reached the northerly side of the island at the figurative half way point. 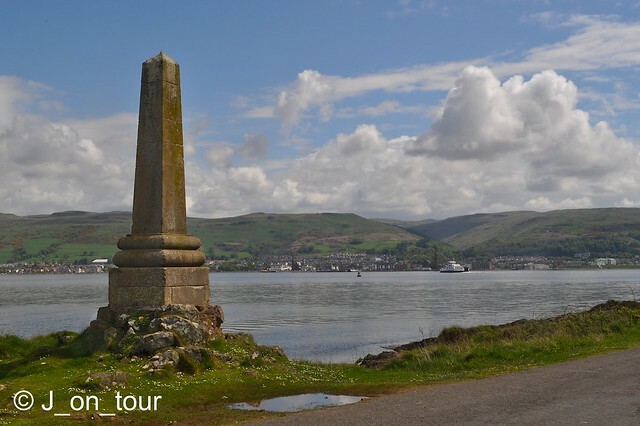 Tolmont End Monument commemorates two seaman who lost their lives from HMS Shearwater back in 1844. 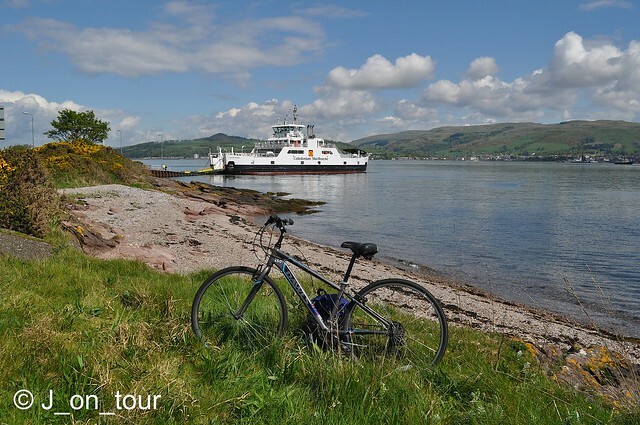 With a view across the Firth of Clyde to Largs including the frequent ferry sailings, it seems to be the place chosen by many amateur and rookie cyclists as a half way point for a break. I had a better plan up my sleeve for a more photographic location a little further on, not so much entitled "Planes, Trains and Automobiles" but more the ones they left out ... "Boats and Bikes" !! 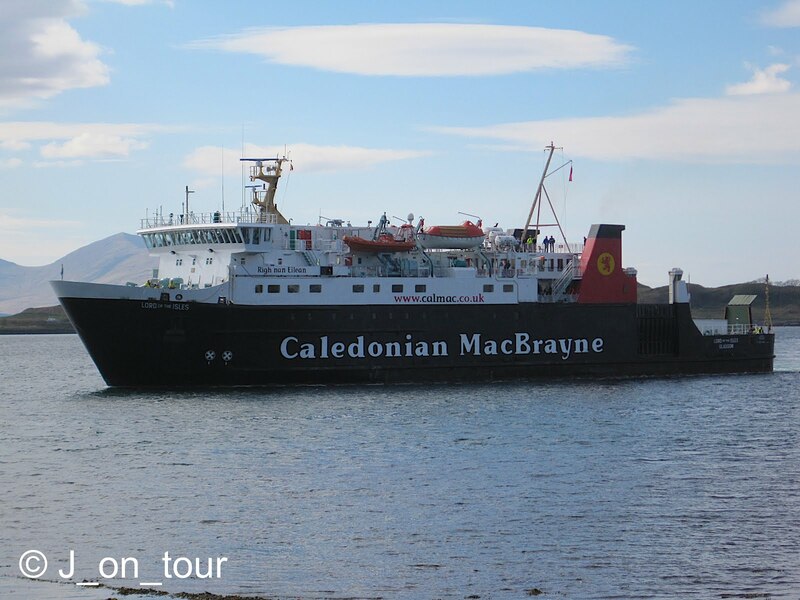 I had plenty of time over lunch to be distracted watching the frequent ferry arriving and departing. Too many photographs, I had to give myself a quick self indulgent photo processing moment !! 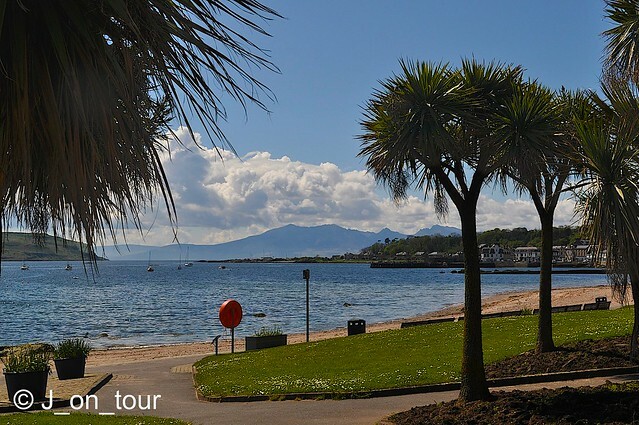 The tropical feel of the gulf stream and the reason why Millport has been popular for many a year. The beaches are prepared nicely and await the day tripper and holidaymaker for the forthcoming summer season. Usually in most Cities and towns, renovations and building makeovers are relentlessly keeping up to date with the times. 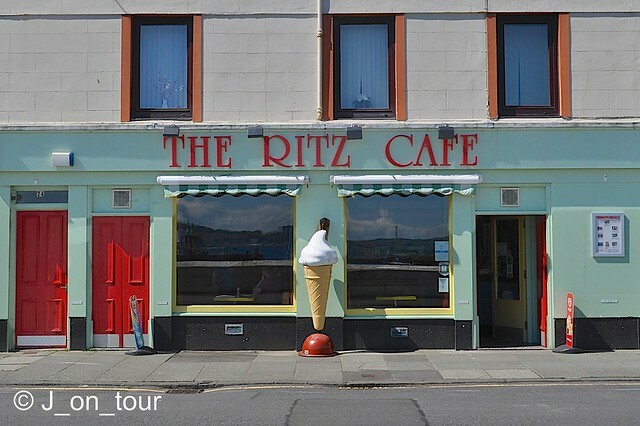 As a child I remember vividly the sea front and one of the things I noticed arriving in Millport 40 years later was that nothing had changed much at all. This is a place I've never visited. It looks as if I missed out but then I feel that whenever I see your perspective on places. Thanks Adrian, Only been here twice, second time was nostalgia and I suppose what you see is what I want to show, not the boring bits just out of shot !! Seems like a wonderful place for a bike ride J..... 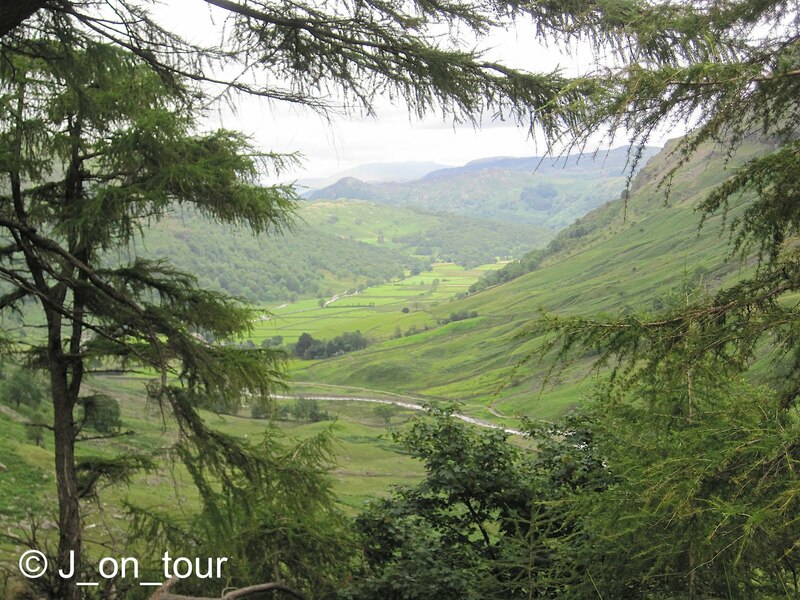 Thanks for sharing the ride and your images. Thanks Trevor, great place for a bike ride albeit very short in professional terms and the shops pricing structure encourages people to go around the island again. Great stuff J, well worth the wait! Thanks Ian, glad you enjoyed it. 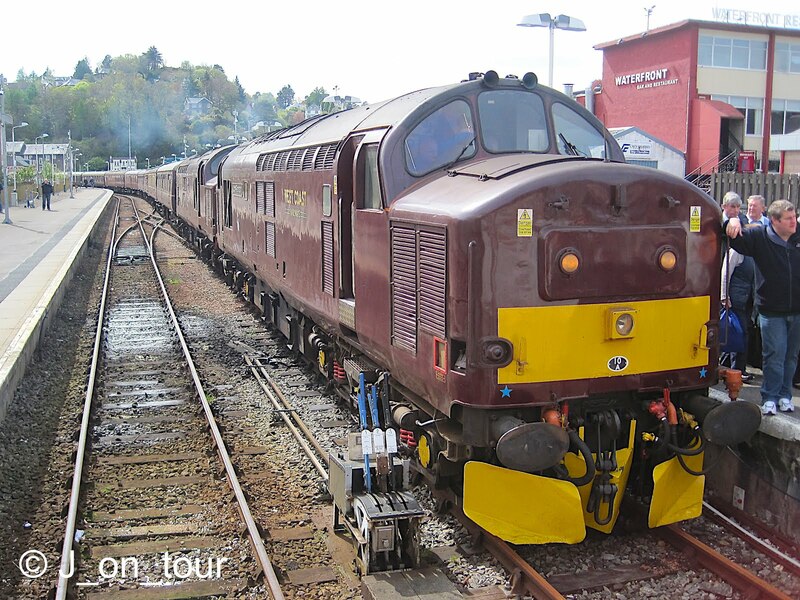 I was looking forward to this excursion for some time and was pleased with the images from a nice day. Thanks Ola, the crocodile is a unique rock structure. It all looks so sunny and beautiful. I would have enjoyed a bike ride there. Thanks Michelle, it was the best day of the week and the bike ride wasn't too strenuous either. A fabulous series of photographs. The sky is just perfect! Thanks CherryPie, It was a lovely day when I could have spent some time on one or two of those seats. Mrs Britain took me there once; it was charming. You have captured it well. She didn't show me the crocodile though, so I'll have to see it later (alligator). 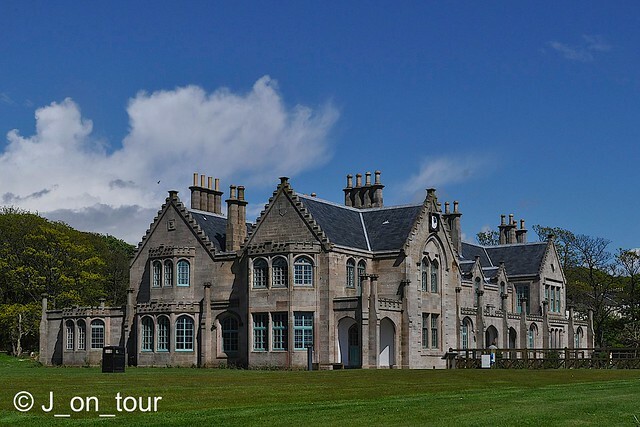 Thanks Mike, a must visit place when in that part of Scotland. Nice to meet your wife too on our recent meet up and finding out some connections with your comment.You'll have to return and see it later then ! Thanks for your visit Linda. Wonderful Vistas you have taken J. Thanks Roy, it was fantastic weather that day always helps in places like this ... as it could so easily have been the opposite. J, those are beautiful sceneries and the Garrison House looks fantastic, I really like this style. It is great that it was repaired and is used again. Thanks Petra, I didn't get the opportunity to visit the Garrison House as I photographed it from the bike. Once a gull in Oban (further north on the west coast on Scotland) stole half a fish from the takeaway I was having. I was concentrating on a silhouette sunset shot whilst holding a tray of food, big mistake !! Thanks Cranberry Morning, several south facing beaches on the west coast have tropical plants due to the warm Atlantic Gulf stream. 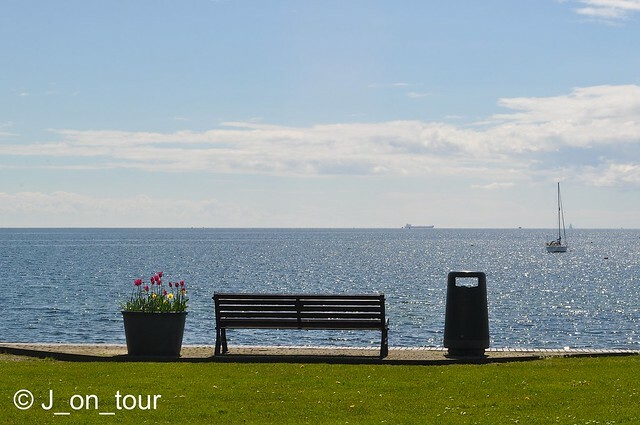 Torquay in Devon and Logan Gardens near Stranraer (SW Scotland) have similar plants growing. 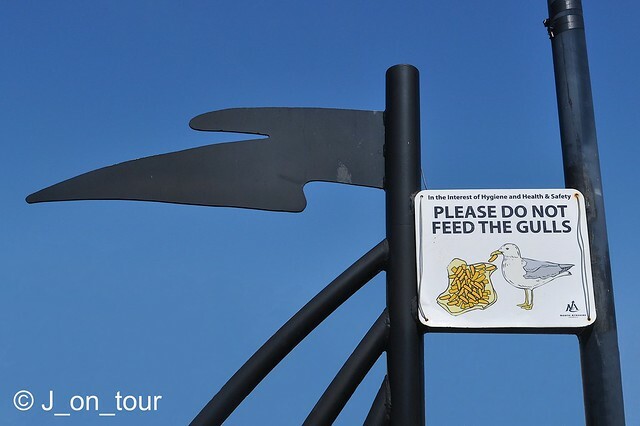 Didn't meet many seagulls on this occasion.